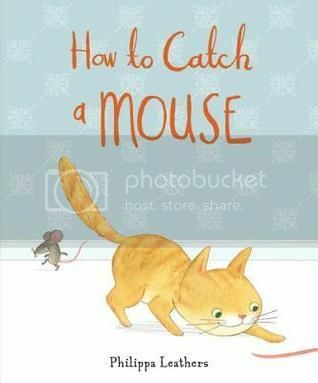 Observant readers will enjoy spotting the mouse hidden in nearly every pencil and watercolor illustration, as Clemmie the cat confidently smirks at her supposed mouse-hunting prowess. Clemmie researches tell-tale signs of a mouse from a book, but is led astray by ordinary household items such as a long pink tail that turns out to be the ribbon of a hat and so on. Gradually, the mouse assembles a costume which hides all distinctive mousy features. Clemmie's bushy-tailed fear at finally uncovering a real live mouse is very amusing. Two can play at that game, when Clemmie works on her own art of disguise to finally chase the mouse around. Yellow endpapers feature cat and mouse tracks.